Should You Say "No" to All TV? I am a stickler for educational activities. My two children were taught to read early so I would not have to rely on TV to babysit my kids when I need a few extra moments to do something around the house. Honestly, I wanted to band television altogether and I tried it for a while, but it wasn’t realistic for us. Now I allow them to watch TV in moderation. From my experience all television is not bad. Three times a week I allow my kids to watch a show. Although, I try to limit it to educational programming only, I choose programs that seem to reinforce concepts I teach at home. I also have to remain consistent because one of my daughters would watch movies on Netflix for as long as she could if I allowed her to. The fact is, television, computer games, and apps can provide too much simulation if the activity, game, or show is what the child is doing for the majority of the day or for hours at a time. I also believe that any electronic device when constantly viewed by children may have a similar negative effect; however it becomes much more useful when a parent or teacher purposefully allows their kids to view or play something that is a part of their educational lesson plan. Moreover, the show or game should also be designed to deepen the child’s impression about a subject matter. Which is why I established a routine with a list of specific shows I allow my kids to watch. Currently, my girls (age 4) are learning basic addition. For instance, I have an Abacus to help them learn math which they use in conjunction with a mathematics iPad app. They understand how to use an Abacus to determine what the answers are and they enjoy it. I will admit, that I had to stop myself from trying to rush them to learn how to count “quicker” by using my way. From what I can see, they both learn much better when I simply allow them to count each number one-by-one. 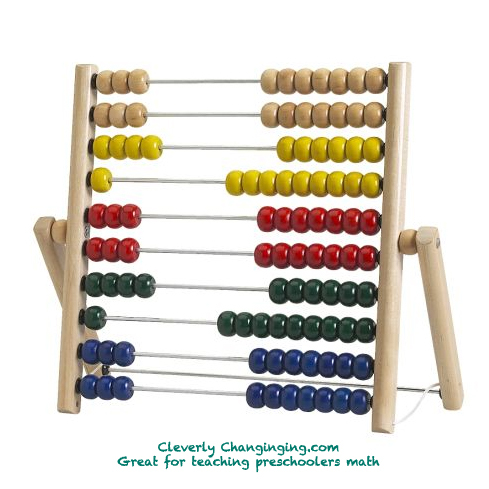 By letting them use the Abacus slowly, they get the answers correct and appear to fully understand exactly what numbers they’re adding together. PBS’ CyberChase is also one show that introduces math concepts that can complement a basic mathematics lesson. Personally, I like leapfrog DVDs “Math Circus” and “Math Adventure to the Moon ” both show math concepts on a very basic level and can be beneficial to young children. In addition to teaching them mathematics through apps and shows. I also use playtime as well. For example, when they want to play with their Legos, I encourage them to practice counting the pieces they plan to use. I also let them help me cook. When they do, I allow them to count the vegetables and spices we place in the recipe. While I don’t advocate for long hours of watching TV, I believe that as a parent I can establish a routine that includes but doesn’t center around watching TV. Lastly, my children are aware that being allowed to watch television is a rare activity that doesn’t happen frequently which helps manage their expectations reasonably. Reader Response: How do you teach your child math concepts at home? How Much TV do you allow your child to watch per day?